The Ipswich hotels listed below are either in the town or we have given a rough guide as to how far they are from Ipswich. We hope you enjoy your stay and find your ideal accommodation. Station: IPSWICH. 0.25miles. Follow A14 towards Felixstowe taking the first exit after the A12 intersection, signposted Ipswich Central & Docks A137. Follow A137 into centre of Ipswich (approximately 2 miles). After crossing the river near the town centre you will see the hotel ahead, on a double roundabout. Turn left at 2nd roundabout and hotel car park is immediately on your right. Station: IPSWICH. 2miles. At the main A12/A14 interchange roundabout, take the A1214 exit and follow signs to Belstead and Belstead Brook. Over the bridge and first left into Belstead Road and then first left into the hotel (Brook View). Station: IPSWICH. 4miles. From the A14 Ipswich Bypass eastbound, after crossing the Orwell Bridge leave the A14 at the next junction, A1189 Jct 57 for Nacton and Ransomes Europark. At the roundabout at the end of the sliproad take the 2nd exit bearing left into The Havens, where you will find the hotel. Station: IPSWICH. 1.5miles. From the A14 & the A12 intersection take the A1214 West Ipswich Town Centre, over first roundabout. The hotel is on the left on the A1071. Situated just outside Ipswich centre, this hotel is a 10-minute walk from Ipswich Railway Station. The Ramada Encore Ipswich has a fitness centre, traditional restaurant and free Wi-Fi. This stylish old dockland building is at Neptune Marina, on Ipswich's waterfront. The modern redesign includes a collection of art. There is free parking, free Wi-Fi and a boutique restaurant. In the bustling centre of Ipswich, Novotel Ipswich offers spacious rooms with large work desks and luxury rain showers. With a popular brasserie restaurant, free local leisure passes are also available for guests. With free parking, free Wi-Fi and cooked breakfasts, Sidegate Guest House offers cosy rooms with flat-screen TVs. Ipswich centre is a mile away, and Buttermarket Shopping centre is a 5-minute drive. Situated only a mile from the A14, The Gatehouse Hotel is a Georgian house set in beautiful gardens stretched over 3 acres, just minutes from the centre of Ipswich. Providing comfortable rooms with luxury power showers, the Premier Inn Ipswich (Chantry Park) is 3 miles (4.8km) from the centre and has free parking and easy access to the A12/A14. Conveniently situated on the A14, Premier Inn Ipswich North is close to Ipswich town centre and Ipswich Football Club, a 10-minute drive from Portman Road football ground. This 18th century, family run hotel offers full English breakfasts and evening meals. 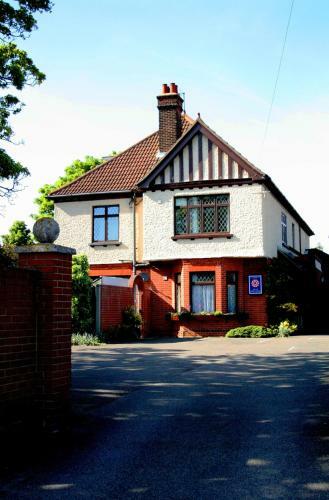 Located just 7 minutes' walk from Ipswich town centre, it has free Wi-Fi and free parking. 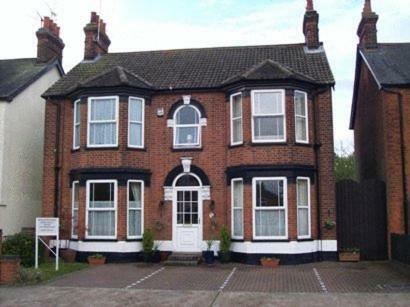 Just a short walk away from the bustling town centre, this small 10-bedroom hotel is set within a wonderful Georgian building in the Suffolk town of Ipswich. Located 10 minutes from Ipswich city centre, the hotel is easily accessible from the A12 and A14 and features a range of leisure facilities. The hotel is situated at the Copdock Interchange of the A12 and A14. This Edwardian property is a 15-minute walk from Ipswich town centre and offers hearty breakfasts, free Wi-Fi and an outdoor swimming pool for guests to use weather permitting. The bedrooms at Abbey Guest House are modern and tastefully decorated. Opposite Ipswich Railway Station, this cosy pub backs onto the River Gipping, and features a traditional restaurant. The Station Hotel offers a leafy beer garden and free parking. Set in the Suffolk town of Ipswich, this charming Edwardian property boasts modern rooms with iPod docks. It has been sympathetically renovated to provide a range of modern comforts, whilst maintaining its original features. Ideally situated, Premier Inn Ipswich South is opposite Foxes Marina, with good access to the A14 and Ipswich Train Station. Ipswich town centre is located 3 miles (4.8km) away. P roviding comfortable, good value accommodation, Premier Inn Ipswich South East is near Ransomes Euro Business Park and close to the beautiful countryside of Orwell Priory Park. This delightful hotel, situated just off of the A14, is within easy driving distance of Ipswich town centre. Our beautifully furnished bedrooms offer relaxing comfort at the end of a busy day. The hotel is fully air conditioned. Located just 10 minutes' walk from the centre of Ipswich, this family-run hotel offers budget accommodation with free Wi-Fi and free parking. Rooms at The Carlton Hotel offer TVs, hairdryers and tea/coffee facilities. Just off junction 57 of the A14 and with easy access to the A12, the hotel offers free parking and good-value accommodation just 10 minute's drive from Ipswich's town centre. For hotels accommodation in other areas near to Ipswich, Suffolk see Bury St Edmunds hotels & Felixstowe hotels.